Things You Can Do To Show How Much You Love Your Equipment. Care for your equipment in the springtime pays off in the fall. All ski bases are made out of polyethylene which is a chemically neutral and relatively durable material. You can’t ruin it with household chemicals, but you should keep in mind that the base material is porous. So, clean dirt from the surface and from the pores (hot wax cleaning is for that). Acetone is a simple, cheap and easy option for base cleaning. Use rubber gloves. To slow down oxidation of polyethylene (see any whitish areas? ), seal the base with wax, that is why hot waxing is better than cold waxing. A thick layer covering the base and the edges doesn’t let oxygen infiltrate. I would suggest you file down nicks on aluminum tail and tip inserts as well as round up the nicks on the top surface edge, especially in the areas where you grab your skis. The top layer and the sidewalls are often made out of ABS plastic which doesn’t like acetone, so to be on a safe side use household soap to clean these areas. Try to avoid getting liquids besides water and special lubricant into your bindings. 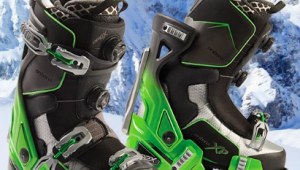 A ski bag should protect your bindings from dust sticking to the internal parts. Don’t have a ski bag? Wrap the bindings or the entire skis in a plastic bag. Two big garbage bags will work. Keeping skis in a shed or cold garage is even worse as driving with your skis on the car roof unprotected; be nice to your skis and you will be a happy camper…oops, skier! If tips are rusty and dull, sand them and sharpen. Aluminum poles may bend and stay bent or break, while composite poles never stay bent, they just break in case of high load. Check the shafts: in case of aluminum poles—file any nicks if found. In case of composite poles (carbon or fiberglass), fill in deep cuts or delaminated areas with epoxy resin. Look at the baskets, they should not have any deep cuts. Pull out the liner and wash the shell of your ski boots with soap and nylon brush. Dry out the liners and the shells. Store your boots buckled up. You may want to fit them with newspapers or thick wrapping paper. It may sound very old school, but it will help your liners to stay in shape. Wash all your ski soft goods—pants, jackets, base and mid-layers, face masks, socks using the right detergent; read the tags first. Most dry cleaning companies will not accept your clothing made of membrane fabric. If your gloves are very dirty, hand wash them, carefully squeeze the water out, starting with the fingers, and hang the glovers with the fingers up to dry. If your gloves have membrane liners (Gore-Tex or similar), try to not mess with it, if your pull the liner out of the fingers, it would be very difficult to put them back. Store your ski jacket on a “fat” plastic hanger, not wire or thin plastic or wood. This is especially important for a natural down jacket. I prefer my ski pants to spend the summer hanging on a belt loop, not folded. Fold it less and you will extend the life of a waterproof/breathable membrane! Synthetic fleece pieces and mid-layers with synthetic insulation are very easy to wash and store. Some items can be used off season for biking, running or walking. A fleece sweater is my favorite item while traveling by airplane—light, easy, and comfortable. If you have wool layers (merino or regular wool), make sure they are protected from moth. The liner may need a wash, check for cracks, the buckle and adjustments should work well. Dry it out and put in a fabric bag, don’t keep in a direct sunlight or in a hot shed. If you use batteries in your ski gear (goggles, heated gloves, boot heaters, helmet camera, etc.) pull them out. Replace batteries at the beginning of next season. What is wrong with leaving your skis in a shed out of the weather ? I have done this for a long time and have not had any problems. I clean then and put a protective coat of oil on the edges. Thank you for your question. If oil doesn’t dry out during summer and protects your edges, keep doing it your way. I personally do not want oil to go into the pores of the base and don’t trust much this thin protective layer of oil. I prefer to cover the entire base and the edges with wax. An electric iron with no holes and practically any candle will be OK. Best. BTW, Should skis be stored in a rack horizontally or vertically ? Why is keeping skis in a cold garage even worse than driving with your skis on the car roof unprotected? What is in the garage that is harmful? Assuming a garage has no humidity and temperature control, we have little or no control over condensation, overheating, and content of chemicals in the air. All this may speed up rusting, drying out a base material and grease in your bindings. Concrete is considered to facilitate rusting. We keep our skis in this conditions for 250-300+ days a year. The garage is not that harmful, if you protect your skis well. 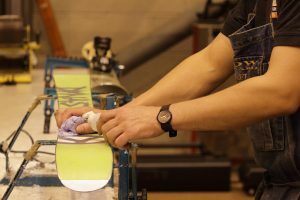 If you have no other place, ask a ski technician to do end-of-season tune (covering the base and edges with wax is critical). Put them in a bag to protect from dust. Best. Val E: is there any truth that lowering binding settings to zero during the off season will help avoid permanent compression of internal springs? That’s something I’ve done for many years after reading an article recommending it, but wasn’t sure it had any validity. John, What a good question! Thank you. Some people ignore physics, chemistry, and other sciences, but they often pay for that. Keep doing it “old school”, it is still right, unless proven to be wrong. The same manual says NO to “hot water, water pressure, solvents, silicone, penetrating oils” on your bindings! 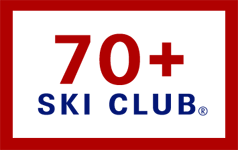 Ask a certified ski technician to do the job. What is still critical is to check and calibrate your bindings before the season, or after 20 days of skiing. Trust your springs, but verify! Best. Looking forward to next years turns. Thanks for the informative article. And thanks to Senior Skiing for the good reads. Cheers!